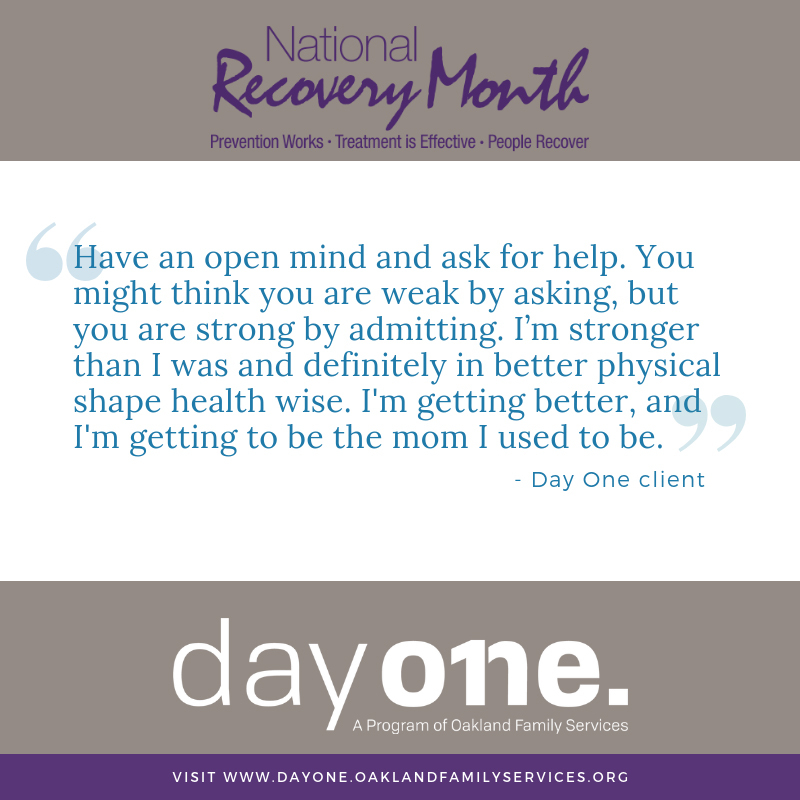 Let’s celebrate the power of recovery! September is National Recovery Month, a time dedicated to educating Americans about the benefits of treatment and recovery services. It also promotes three key messages: prevention works, treatment is effective, and people can and do recover. 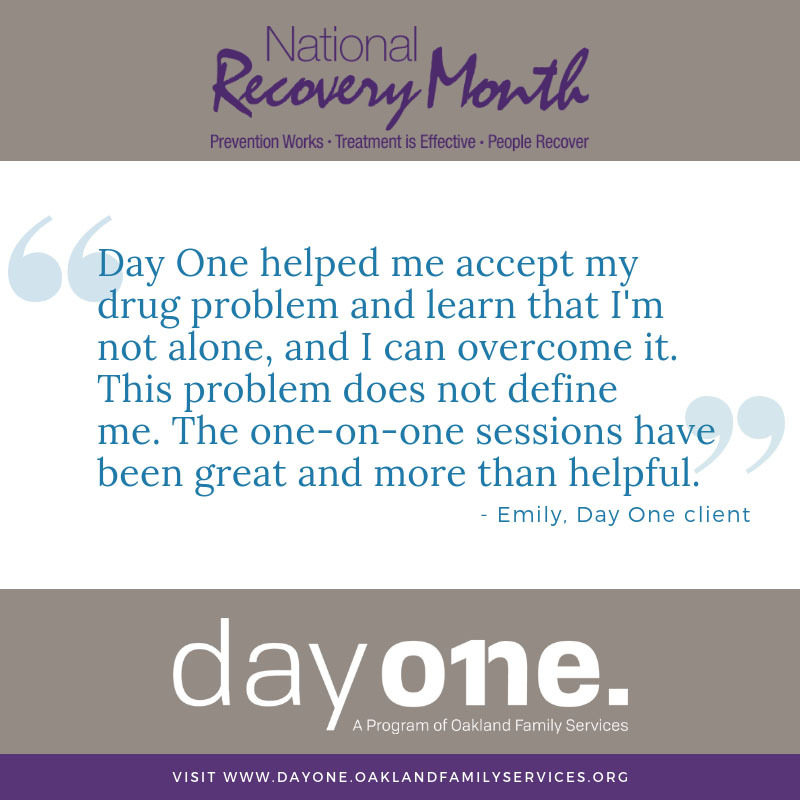 Day One is sharing clients’ experiences to raise awareness and give others hope that recovery is possible. You can learn more about National Recovery Month through the Substance Abuse and Mental Health Services Administration.